Annual retail inflation in January rose 2.05 per cent, its slowest pace since June 2017, government data showed on Tuesday. 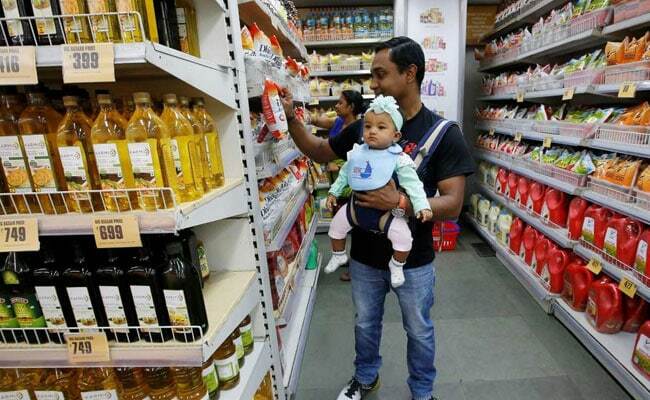 Consumer prices rose at a milder pace than anticipated in January and remained below the Reserve Bank of India's target for a sixth straight month, strengthening views it could again cut the key interest rate at its next policy review in April. Economists in a Reuters poll predicted retail inflation would edge up to 2.48 per cent in January from the downward revised December figure of 2.11 per cent. Analysts polled by Reuters had forecast January's annual increase in the consumer price index at 2.48 per cent. Figures released separately on Tuesday showed industrial output growth rose 2.4 per cent in December on the year. In a surprise move on February 7, the Reserve Bank of India's Monetary Policy Committee (MPC) cut the benchmark repo rate 25 basis points to 6.25 per cent, in its first cut in 18 months, and hinted of more room to cut rates. The MPC, which mainly monitors retail inflation data, also revised down its inflation projections for the period from April to September to 3.2 per cent to 3.4 per cent, from 3.8 per cent to 4.2 per cent. Inflation pressures have eased in recent months, following falls in food and crude oil prices. India imports nearly 80 percent of oil it consumes. "This reinforces expectations of a rate cut in April," he added. Prime Minister Narendra Modi, who faces general elections by May, has announced an annual transfer of Rs 75,000 crore ($11 billion) to millions of farmers, and tax benefits for the middle class, which many economists say could spur both consumer spending and inflation. RBI Governor Shaktikanta Das has downplayed the risk India could soon see higher inflation because of bigger budget spending, and has said the MPC would only look at the headline inflation number and ignore core inflation, which has stayed stubbornly high. Core consumer inflation, which strips out food and fuel prices, was estimated at about 5.4 per cent in January, slightly softer than a downward revised December figure of 5.6 per cent, according to an estimate made by two analysts from inflation figures released on Tuesday. Retail food prices fell 2.17 per cent in January from a year earlier, compared to revised fall of 2.65 per cent a month earlier. The figures show rural incomes remain under pressure while consumers benefit from easing inflation. A Reuters poll after the MPC's February 7 rate cut showed a slim majority of economists see another rate cut before the election. This year, other major central banks have also changed to a dovish stance in the face of rising worries about global growth and the impact of the US-China trade war.